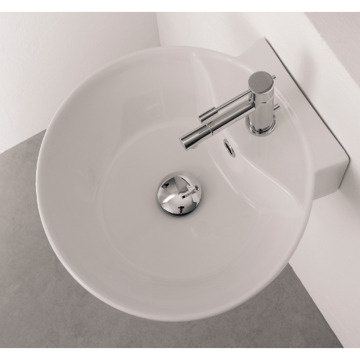 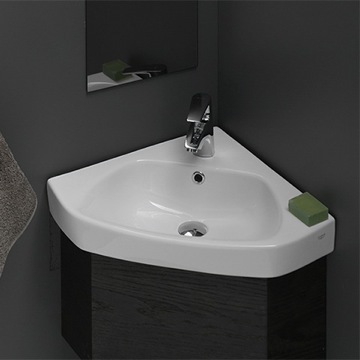 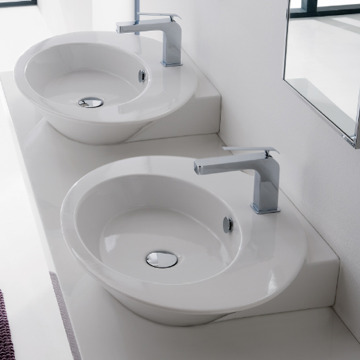 An incredibly sleek and space saving addition to any bathroom, this corner bathroom sink offers all the functionality you need in a compact and stylish package. 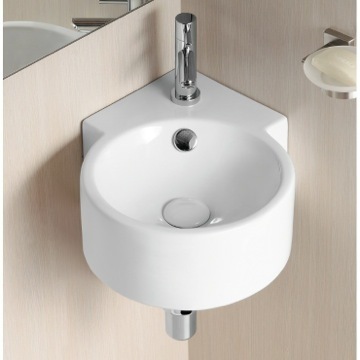 Made out of beautiful white ceramic, it can either be wall mounted or be placed above the counter in a vessel application. 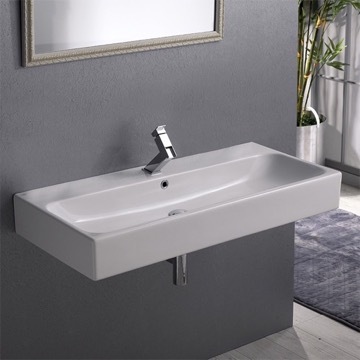 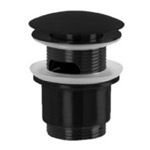 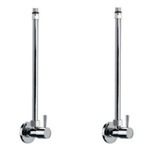 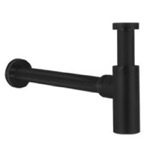 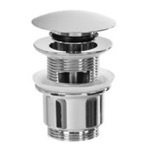 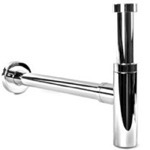 With an included overflow and space for one faucet hole, it fits nicely into your contemporary or modern styled bathroom. 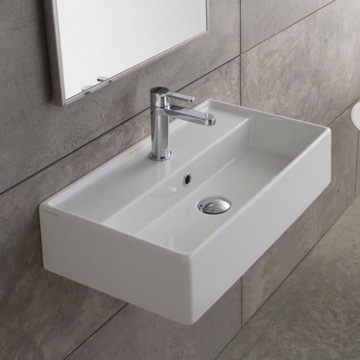 Corner bathroom sink made of white ceramic. 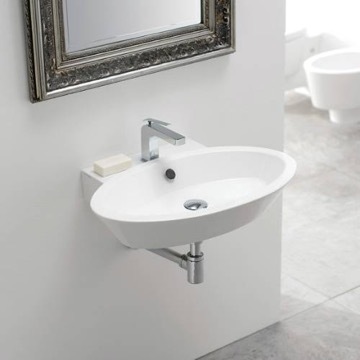 This sleek, space saving bathroom sink includes one faucet hole and an overflow. 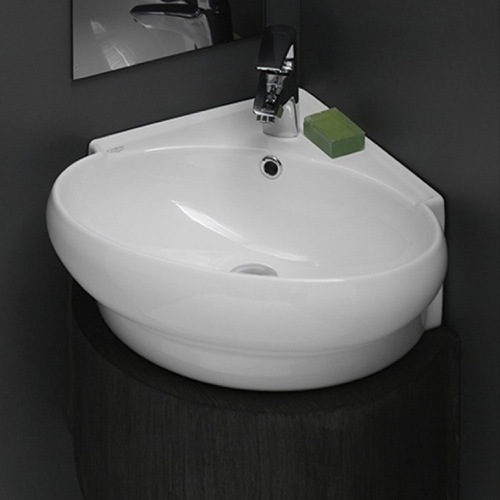 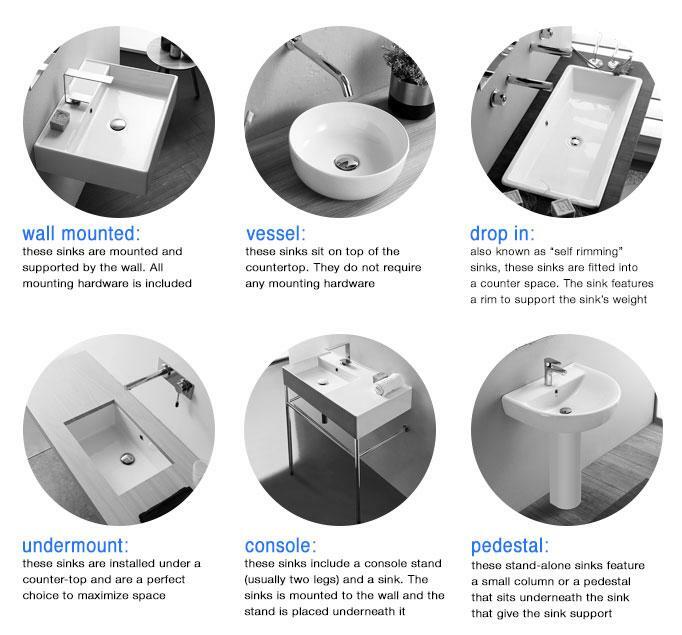 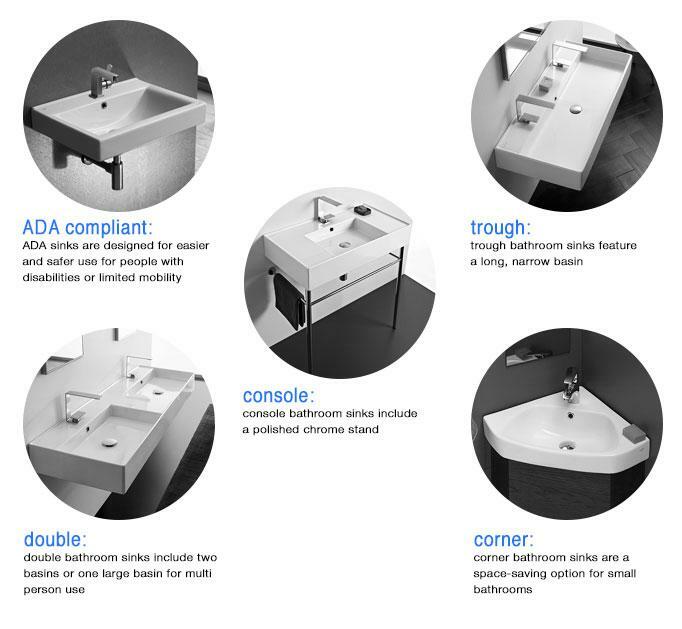 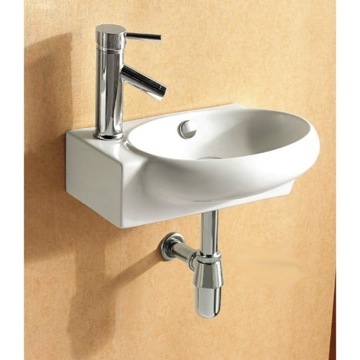 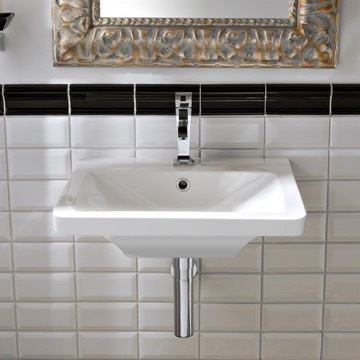 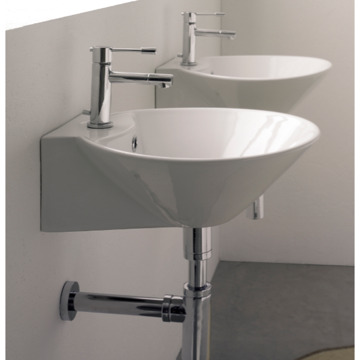 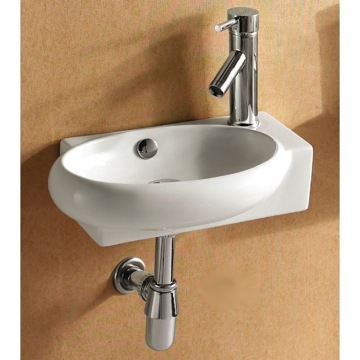 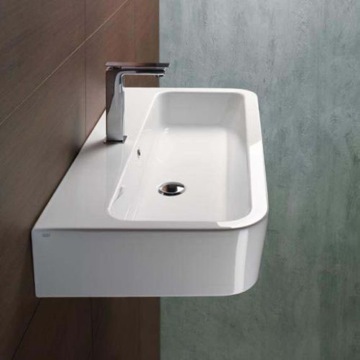 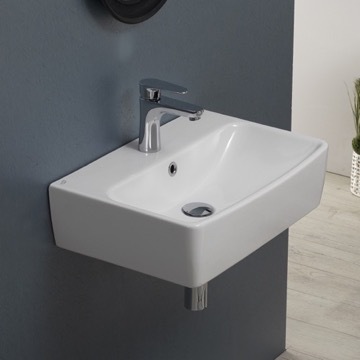 Sink can either be mounted to the wall or placed above a counter (vessel application). 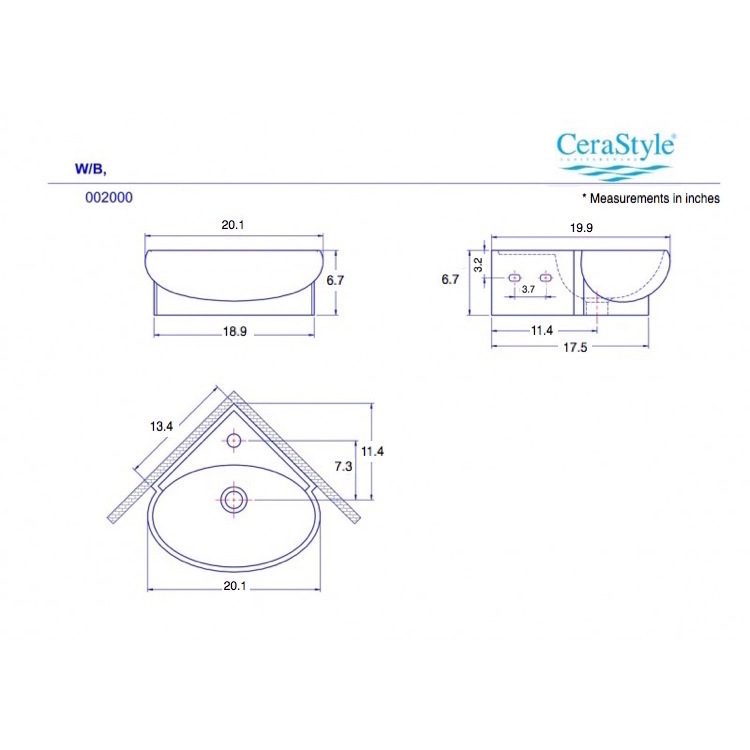 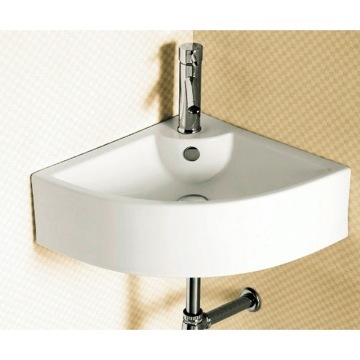 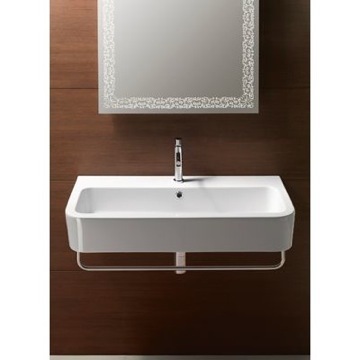 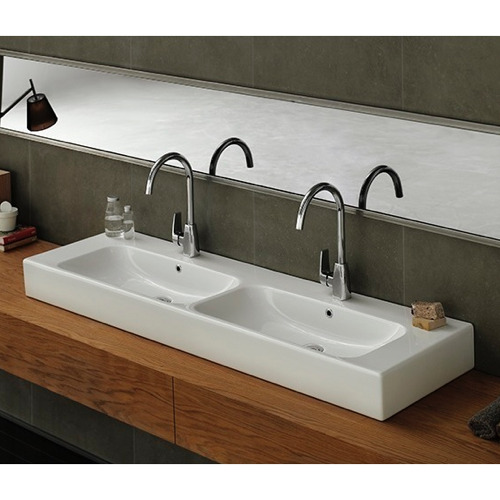 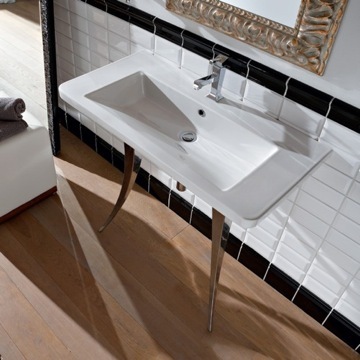 Sink is designed by high-end and well known Turkish brand CeraStyle. 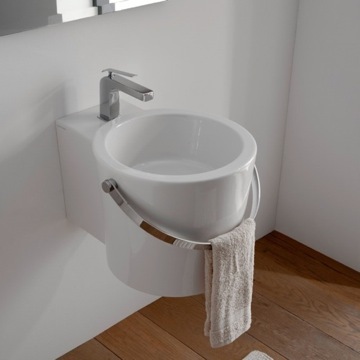 Just the right size for a small bathroom! 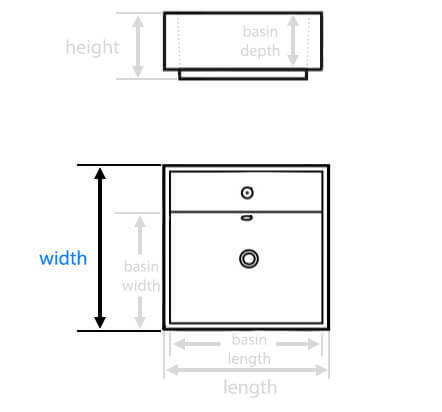 We were looking for a sink that would fit a corner. 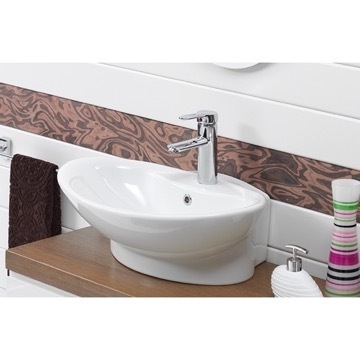 The bath outlet delivered on our needs. 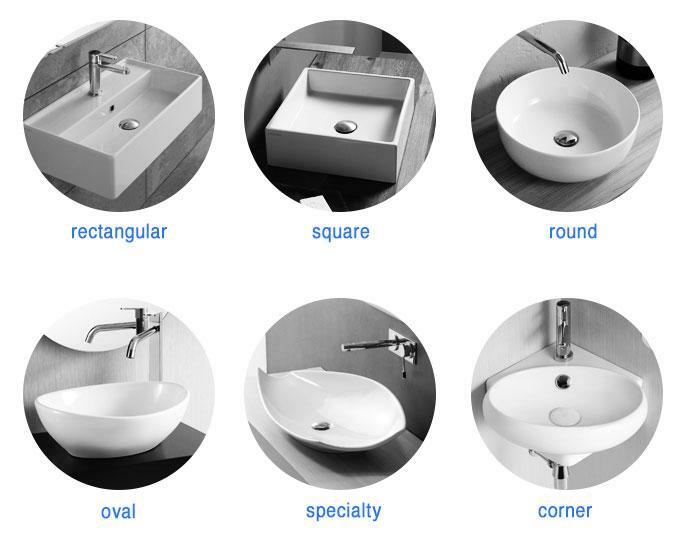 It is not easy to find a good looking corner unit which not standard. 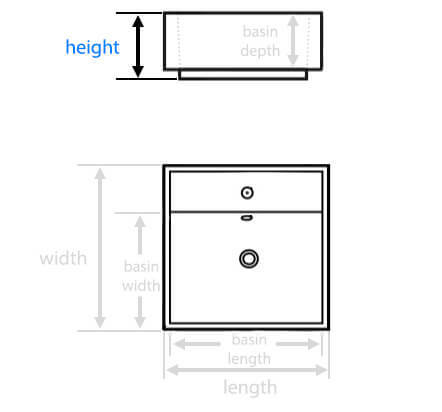 It was just the right size for our small bathroom. 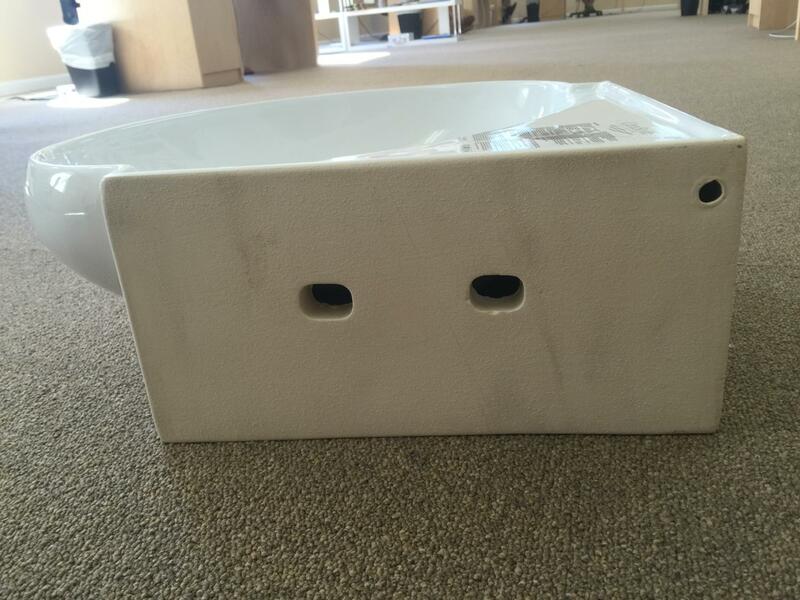 The sink showed up in one piece - in a bunch of protective packaging. 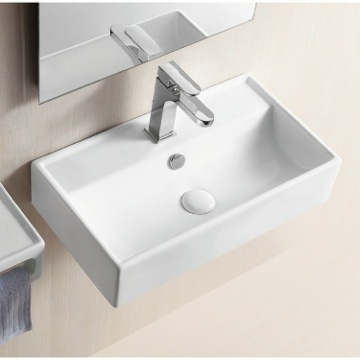 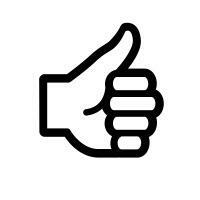 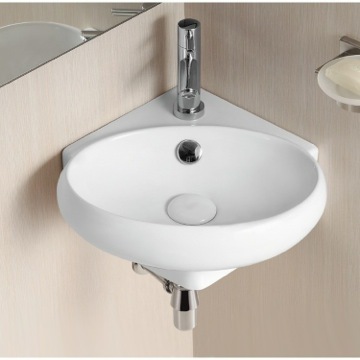 The sink is great and exactly as advertised - a high quality product. 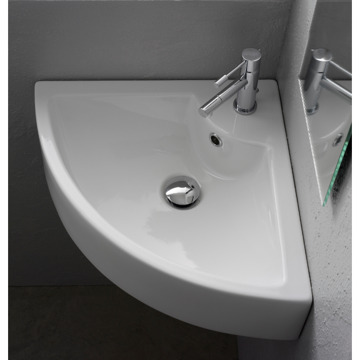 I will definitely purchase from The Bath Outlet in the future! 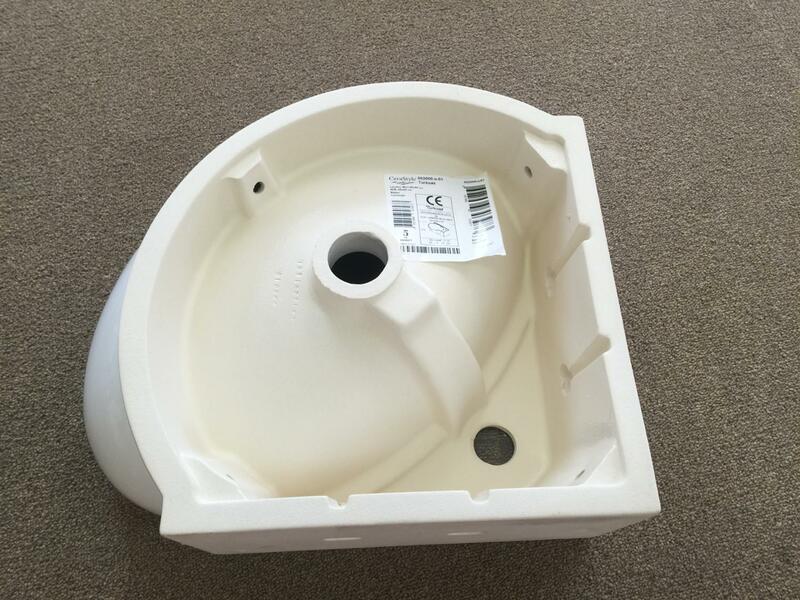 What are the inner bowl measurements? 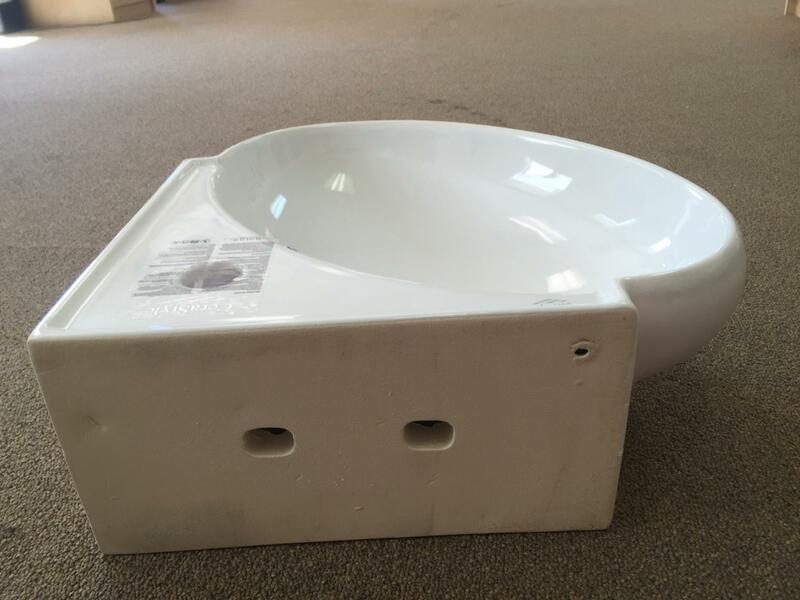 The inner basin measurements are as 18.5" L x 12.25" W x 4.5" D.
what is the measurement from back corner to center front? 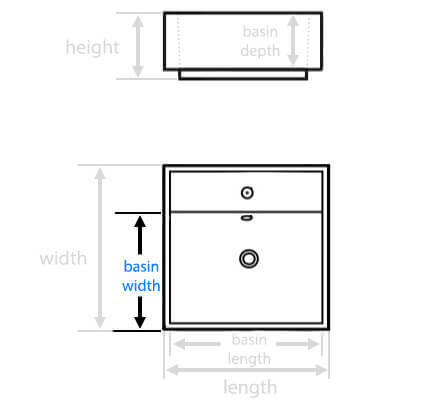 This will be the overall width, which is 19.9". 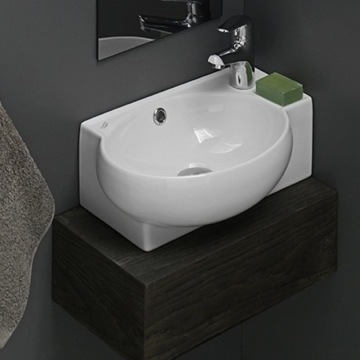 Is there a vanity that this sink could go in? 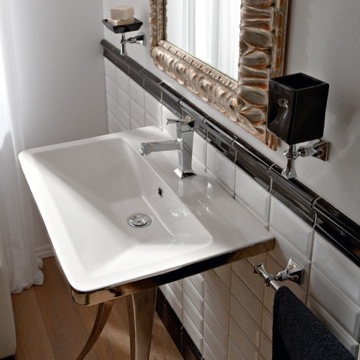 Unfortunately, we do not carry any pre-made vanities for this sink. 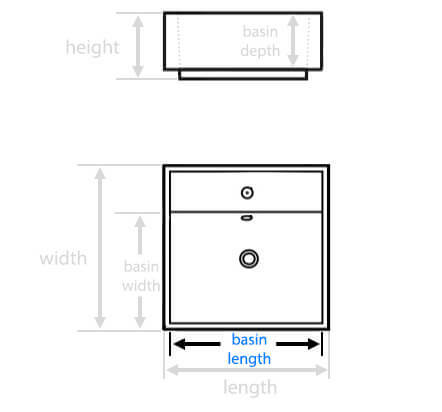 How long is the mounting portion of this sink I have 17 inches leeway? 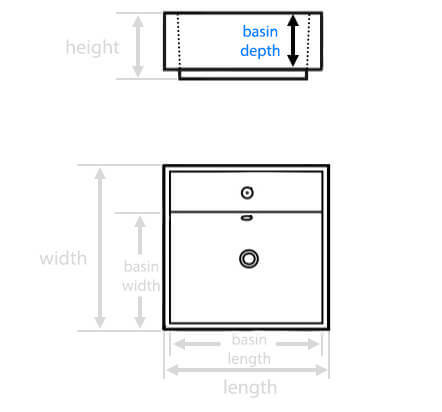 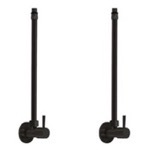 Each side for mounting is 13.4" in length. 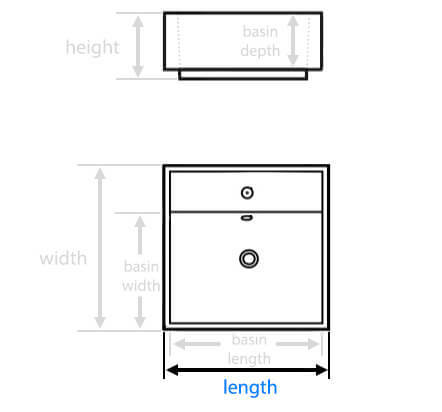 Can I see pictures of the back and bottom please? 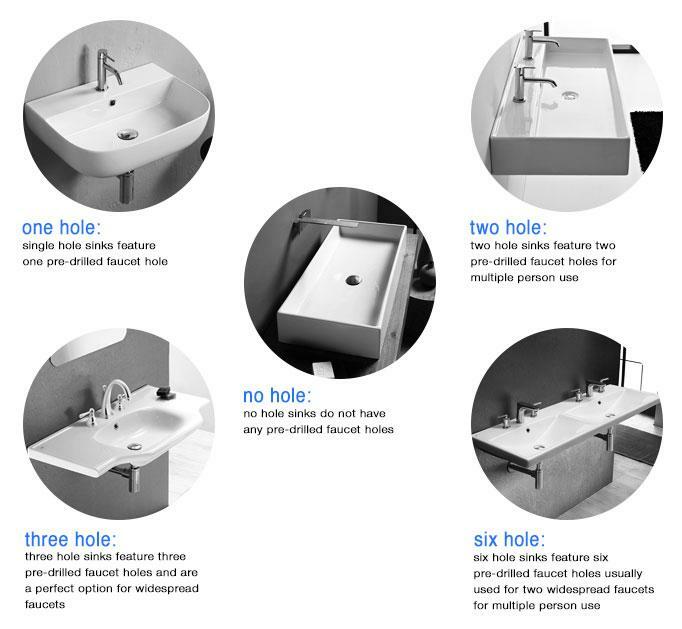 Please see attached photos of the back (first two photos) and the bottom of the sink.